Here you see two charts showing the power distribution by zone for the last 28 days for a half-Ironman triathlete and a road cyclist focused on a criterium and flat road race, both of whom are peaking for events at about the same time. Notice how the power distribution is almost exactly the opposite for them. Where the triathlete’s chart bulges in the middle zones (2, 3 and 4), the cyclist’s dips. The roadie is focused on anaerobic capacity training in order to be prepared for the surges that occur in a crit and road race (zone 6). Such training demands a lot of recovery (zone 1). The triathlete is preparing for a long, steady effort done mostly in zone 3. These charts illustrate the point I keep harping on: Training should increasingly take on the specific characteristics of the event you are training for the closer you get to the event. Hi Joe - What distribution for you expect for a cyclocross racer 28 days prior to an A race? Andrew--If you have no running base then just do lots of aerobic running building to 20k. Brian--A lot more 4-5 zone. Excellent, excellent... a 10 years rodie on it's first year as a tri... for a visual lerner there is nothing better than charts to help on the "holding back" during training. thanks for your regularly updated and informative blog, I've learned quite a bit here. Currently I'm preping for a 24h race at the end of August that features a hard course with lots of climbing. Last year I raced there mostly in HR zones 3 and 4 which was very demanding. So how should the peaking look like in general when taking on the specific race characteristics. I've already got a really solid aerobic base, have done climbing intervalls and form is where it should be. Now for peaking would it be better to do long (4-5 h) zone 2-3 workouts until short before the race to further boost aerobic fitness or should I reduce the volume and concentrate during short workouts on my climbing? I'd appreciate if you could give me some advice in which direction to head. Martin S--How long your taper/peaking should be for this event depends on how exhausting your recent training has been and on your experience with how quickly you recover. I'd suggest reducing workout duration during the peaking while concentrating on climbing if that will be a significant determiner of outcome. Thanks for the constant posts. 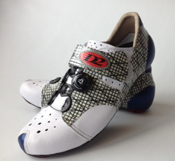 They are a great benefit to my husband and I in our triathlon training. He is going to begin training for his first Ironman next summer and I am looking at Heart Rate Monitors (potentially with GPS) for him for his birthday. Do you have any recommendations? Working in a peak for an A-race this Sunday. My TSB differs by about 1 point value (7 vs 6) depending on if I take Fri or Thursday off. If I take Thurs off I begin to go non-negative but only get to 6 by Sun. If I take Fri off I go non-neg on Sat but reach a higher TSB value. Is that difference to minor to worry about (3 days of non-neg TSB vs 2 days of non-neg TSB)? For bike racing (Crits & RRs) how long should I strive to have a non-neg TSB when planning for A races? Note - I've schedule an easy w/o for Thurs/Fri and Sat. Bill--One TSB point is not significant. Don't sweat it. For A races I try to get riders into +17 to +23 TSB by race day. But it isn't always possible. There are also some who react negatively to be too rested. Psychological. For them they need a lower TSB by race day. 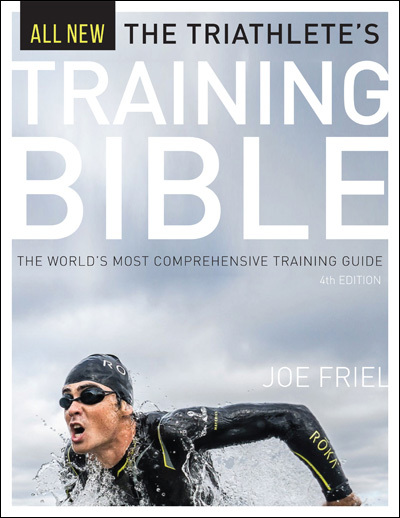 Rebecca--Write to me off line at jfriel@trainingbible.com and I'll send you a handout that gives you data to compare. Hi Joe, I'm curious -- I assume the triathlete power distribution reflects only time on the bike. How do you map your tri-sport athlete's overall intensity to calculate a merged intensity distribution chart? (I've been using TRIMP, although of course that's heart rate driven with all the shortcomings that brings.) 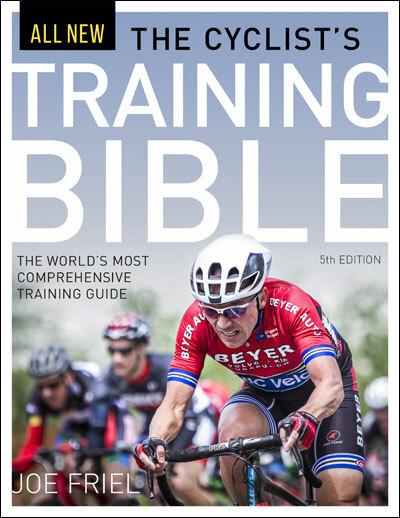 Thanks again for the blog -- it's a great supplement to your book and your trainingpeaks plans, and I appreciate the effort you make it keeping it up. Craig--The only combined-sport metric I track for tris is fatigue (ATL). How many hours went into the roadies training over the last 28 days in the graph shown? Justin--About 43. He was tapering.